Here is an example of a super popular idea with the girls! 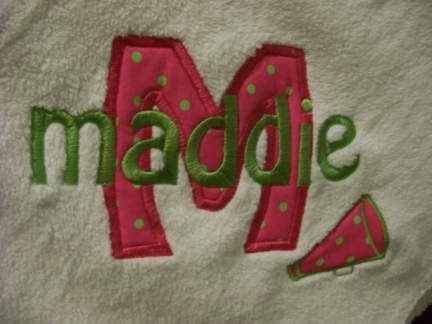 A large appliqued first initial with her name in lower case across it on a fleece throw! I added an appliqued megaphone to this cheerleader's throw for a unique, fun birthday gift! You choose colors & name & I'll do the rest!